I was smack in the middle of reading Wild, by Cheryl Strayed when I heard on the news that Oprah Winfrey had restarted her book club. (Oprah's Book Club 2.0) And what do you know? Her first pick was the book that was currently in my hot little hands. Serendipitous! What a fierce and honest memoir. 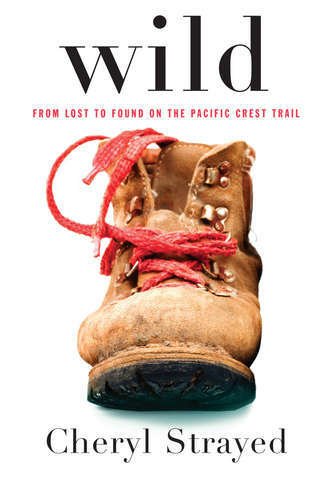 I could nearly feel my feet swelling and cracking open along with the author's as she hiked the Pacific Coast Trail. Cheryl found herself out there, among the plants, trees and wild animals without an ounce of training and nearly zero know-how. I was pulling for her, cheering for her, crossing my fingers that she would make it to the end without losing a limb or her mind. Do you like reading memoirs or fiction more? I think it might be a tie! I think it's harder for me to find a great memoir so I end up reading more fiction, but I enjoy them both. How about you Amy? It is been long since I read non fiction. This one sounds good. I will add to my TBR. When you get around to reading it (I know just how high those TBR piles can be!) let me know what you think!